WIN upto 1 LAKH today! Click here to join leagues! After a neck and neck league stage, Dindigul Dragons and Madurai Panthers will be locking the horns in the Qualifier 1 of TNPL 2018. Both the teams have registered five victories in the seven games played and are equally strong. Hence, today’s match will be a close call as the contenders will look forward to seal their place in the finals. Read below the fantasy cricket predictions and probable squad of DIN vs MAD match to play fantasy cricket and win prizes. 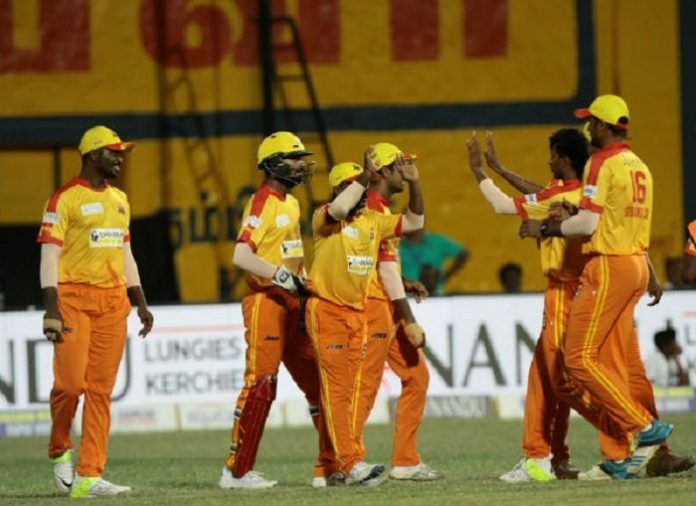 The Dindigul Dragons have had a fantastic TNPL tournament in the league stage and finished at the top of the points table. The squad, on the whole, looks skillful in their batting and bowling performance. Skipper N Jagadeesan is in a great form after their last match against Chepauk Super Gillies. They also have other eminent batsmen like Balachander Anirudh and R Vivek down the order. The bowlers also did a good job and restricted Chennai to just 120 all out. M Silambarasan and Varun Totadri are the star bowlers to look out for. The DIN squad is likely to go the same on field as they have formulated their winning combination. The Madurai Panthers who struggled in the last year TNPL have had a successful tournament so far this year. They have never won a game against Dindigul Dragons in the TNPL history. Hence, they would hope against hope to settle the scores with a victory in tomorrow’s match. After their first loss, they witnessed five victories in a row but were humbled by the Kovai Kings in the last game. The MAD batsmen faltered like never before. They need to call the shots and get going as they approach the finish line. The bowling unit is good and need to sustain the same in the game against Dindigul. Did You Expect These Players in the WC ’19 Indian Squad? This Most Crazy Feature on BalleBaazi Cannot be Missed!